Rob Peck, Director of Procurement Services at Procurement for Housing (PfH) and Ross Fraser, Director of The Battersea Consultancy (previously CEO at HouseMark), discuss the dynamic purchasing system revolution and SME contractors. Life can be tough for SME capital works and maintenance contractors. Typically, they struggle to win contracts via competitive tender exercises or secure places on procurement frameworks. In many cases, their best chance of winning work is as a sub-contractor to a national or regional prime contractor. However, SME contractors often complain of being squeezed by the prime contractor which takes its profit and management fees up front and then expects the SME sub-contractor to fulfil all contract requirements — and to take the works risk — within the abated fee. These difficulties restrict SME contractor growth and productivity and impact on viability. When prime contractors go bust, their sub-contractors can be forced into liquidation. A recent report by accountancy firm Moore Stephens found that 780 construction companies fell into insolvency as a result of the failure of Carillion — then the UK’s second biggest construction company. As a result, 2,764 construction firms entered insolvency in 2017/8, a sharp rise of 6% on the previous year. There is increasing focus amongst councils and housing associations on the need to stimulate the SME contractor market. Councils and locally-focussed associations recognise the role that SME contractors play in the local economy by creating jobs, generating local spend from wages and pensions and enhancing the local skills-base. 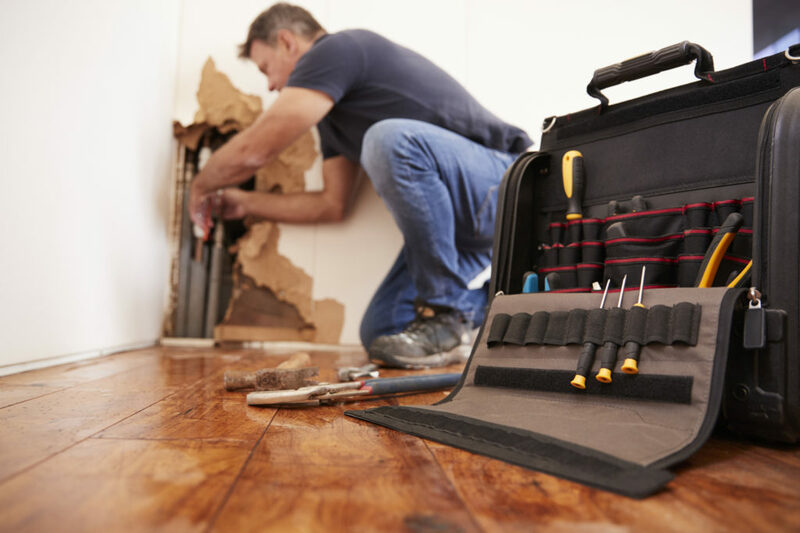 From a commercial perspective, the delivery strategy of national and regional maintenance contractors is highly dependent upon sub-contracting to local SMEs. This reduces the prime contractor’s overhead and gives them greater flexibility in bidding for work. Of course, it also increases the prime contractor’s risk. If the SME does not perform or goes into liquidation, the prime contractor faces contract default and reputational damage. This is a risk that larger contractors seem willing to take — so they too have a major interest in a healthy SME contractor market. 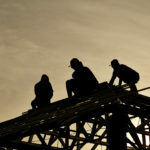 As everyone is now aware, an ageing construction workforce is reflected in an increasing labour and skills shortage, likely to be exacerbated by Brexit. According to the Federation of Small Businesses, one in five SMEs employs at least one EU worker. One step in mitigating that risk is to support and stimulate SME contractor growth. One solution being promoted by government is greater deployment of dynamic purchasing systems (DPS) for public procurement. A Dynamic Purchasing System (DPS) is an electronic platform used by a Contracting Authority (buyer) to purchase commonly used goods, works or services. Unlike a traditional framework, suppliers can apply to join at any time. It is an ‘open market’ solution designed to provide buyers with access to a pool of pre-qualified suppliers with reduced timeframes for call-off. Reflecting concerns amongst clients and contractors, Procurement for Housing is now launching a dynamic purchasing system (DPS) for capital works as a managed service. Whilst in no way a silver bullet, nor presaging the ‘death’ of the framework agreement model, the Procurement for Housing DPS is a radical and innovative strategic intervention in the market. The adaptability of the DPS means new suppliers and contractors can apply to join at any point during its lifetime, ensuring the supplier pool remains relevant, competitive and varied — essential in achieving value for money and mitigating risk. The application process is a single stage exercise that requires the contractor to demonstrate that they meet the required minimum standards. Once appointed to the DPS contractors will have visibility of work packages being advertised within their geographic regions and will have the ability to submit bids for works within their given specialisms. From an SME perspective this should be very helpful. If SMEs fail initial entry requirements to the DPS, they can re-apply at any time. Contractor access to a DPS is free and the reduction in the tender administration will be welcomed by SMEs. The burden of the initial sourcing, vetting and monitoring of SME (and indeed all) contractors falls on the procurement body offering the DPS, offering an additional layer of assurance. DPS is considered ideal for the volatile capital works contracting market and other key spend areas with regional and varied supply options, which is why the client, prime and SME contractor sectors should be giving it serious consideration, right now.